Microsoft’s Windows 10 update is one of the biggest changes to Windows in years. 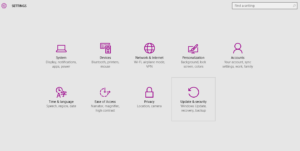 Not only did it completely change how Microsoft offered new updates by releasing it as a free upgrade instead of as a hefty, paid upgrade, but it was also a step back for Microsoft from its Metro UI stance. The company decided the PC world wasn’t ready for as much of a change as it introduced with Windows 8 and brought back old Windows favorites like the Start menu. However, the Windows 10 update also brought some unwelcome changes. One of the most annoying things about Windows 10 is the unavoidable updates which automatically install themselves on your computer without even telling you. Microsoft doesn’t really have a good history when it comes to incremental Windows updates. The past few versions of Windows have had a habit of interrupting you in the middle of your work by asking you to update your PC by restarting it. Sometimes, they even take away the option to turn off your PC in a normal manner by only allowing you to shut down or restart after installing the update. Due to this reason, many Windows users preferred to keep the Windows update option to off and only manually installing updates when needed. Note: We recommend keeping the Windows update option to on as it an updated PC saves you from many newly discovered exploits and also keeps your PC updated with the latest bug fixes. 1 . Press Start + R and type services.msc in the dialog box that appears. Press OK.
2 . 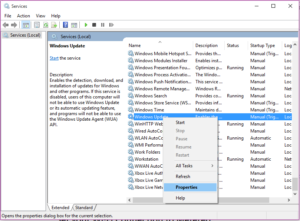 This will open the Windows Services Manager. 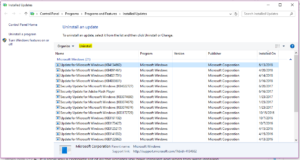 Scroll down and find Windows Update in the list. Right-click it in and select Properties. 3 . Press Stop and change the Startup type to Disabled. One way to delay Updates or force Windows to wait before downloading and installing a new update is to set your internet connection to ‘Metered’. 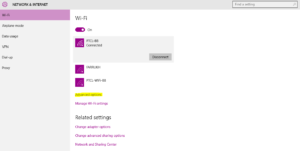 Microsoft allows you to set a connection to Metered in case you have a data limit. Imposing this limit not only makes sure that some apps use data more carefully but also deters Windows from installing updates when on that connection. Note: This only works on a Wi-Fi connection and Windows doesn’t give you the option of setting an Ethernet connection as Metered. 1 . Open the Settings app by pressing Start + I. 2 . Click on Network & Internet. 3 . From the given list of connections, make sure that you are connected to the Wi-Fi that you normally use and want to set as a metered connection. 4 . Once connected, click on Advanced options (highlighted in yellow). 5 . Switch the option in the Metered connection section to On. 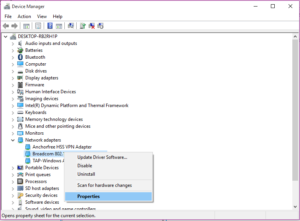 If you can’t stop Windows from updating itself but you still want to at least have some control over it, the last resort is to select a time period for when you want to allow your PC to update. Choose a time when you are most likely to use your PC. 2 . Click on Updates & Security. 3 . Click on Change Active Hours. 4 . Now you can select a period of a minimum of 1 hour to a maximum of 18 hours during which you normally use your computer. 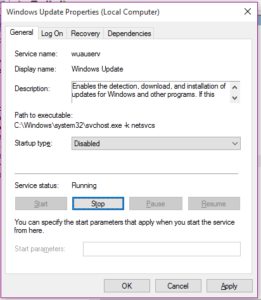 Windows won’t automatically install an update during this period and will only install updates in the non-active hours. 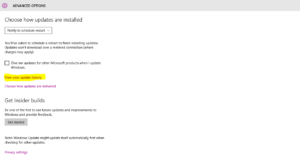 If you don’t want to block all Windows 10 updates but just don’t want your PC to install specific updates (like drivers), Microsoft itself provides a useful little utility that allows you to do exactly that. 1 . Press Start + I to open the Settings app. 2 . Click on Updates & Security and then click on Advanced options. 3 . 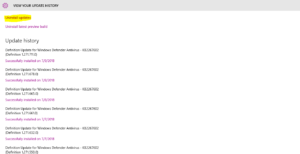 Click on View your update history and then click on Uninstall updates. 4 . It’ll show you a complete list of all the updates you have installed and when they were installed. To uninstall an update, simply click on it and click on Uninstall. Windows also handles all the updates for your drivers. Fortunately, you can also roll back an update for a software driver if your system isn’t working properly since the last driver update. 1 . 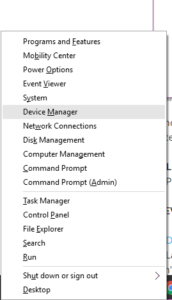 Press CTRL + X or right-click on the Start button and select Device Manager from the list. 2 . 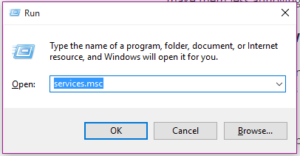 Right-click on the driver you want to roll back and click on Properties. 3 . 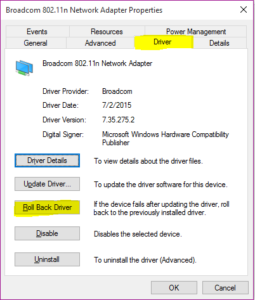 Go to the Driver tab and click on Roll Back Driver. 1 . Download this troubleshooter from Microsoft. 2 . Launch the troubleshooter and it’ll search and list down all the available updates for your PC. Just select the updates you don’t want to install and Hide them. You can also use this troubleshooter to unhide the updates if you ever feel the need to do that.